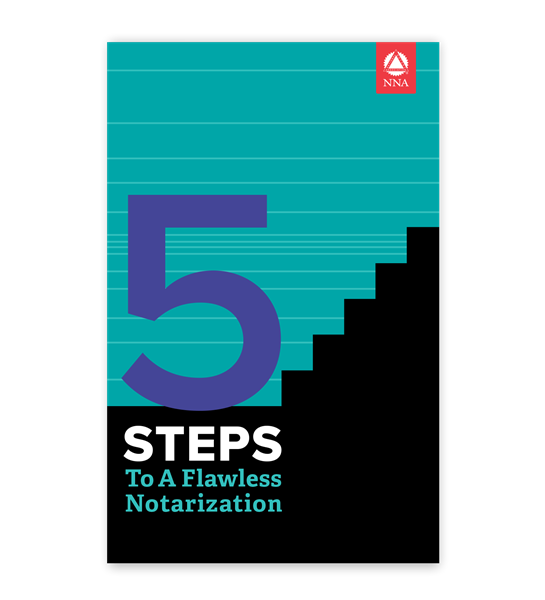 This handy, easy-to-read guide walks you through the 5 basic steps to completing a flawless notarization. Perfect for new and not so new Notaries. Keep this guide in your desk or briefcase for quick and easy access and avoid any anxiety about notarizing a document. An essential reference tool for all new and not-so-new notaries, this handy, easy-to-read guide walks you through the 5 basic steps to completing a flawless notarization. Includes different ways to identify a signer, what to look for in reviewing a document, how to properly fill out a Notary certificate, and more. Determining how to follow the law, especially a vague law, can be difficult. When the law provides inadequate direction, Notaries must be guided by good business practices and by high standards of honesty and common sense. The purpose of this book is to explain the critical elements of a proper notarization and to help Notaries use reasonable care when faced with unclear or unfamiliar circumstances. Avoid any anxiety about notarizing a document by keeping this guide in your desk or briefcase for quicky and easy access.